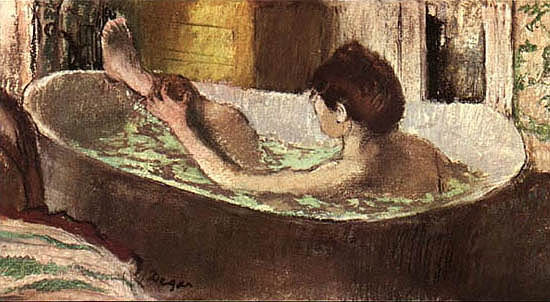 Taking a bath can be prepared as an art form. There’s nothing more soothing than slipping into a bath of soft white bubbles that make you feel like you’re floating on top of a cloud. 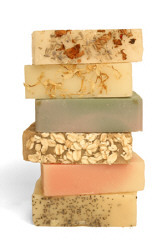 One of life’s most superb pleasures is indulging in a warm bath filled with therapeutic scents. A long soak in the tub can do much more than cleanse your body; it can have a healing effect on your heart and mind. I read that the ages from 30-49 are the most demanding; this is the age group that works the most hours. This tells me that if you know that you have the luxury of time in the bath, you are likely to be more productive. The ultimate bath time might include fresh flowers, lavender rose patchouli soap, Tea of Republic Rose Petal tea, Rose Diptyque candle for aromatherapy, and a book of Sylvia Plath’s poetry. Think about the time when water had to be heated over a fire in order to “draw” a bath into a shallow tub…c-c-cold!! I know that the pilgrim women would let their husbands bathe first and then the children, the mom would bathe in the left over water. I also think of Joseph Pilates who believed in cooling the body immediately after a workout. If you have had a cold shower after exercise, you have felt the shock and tension that comes with the suddent temperature change on your skin. 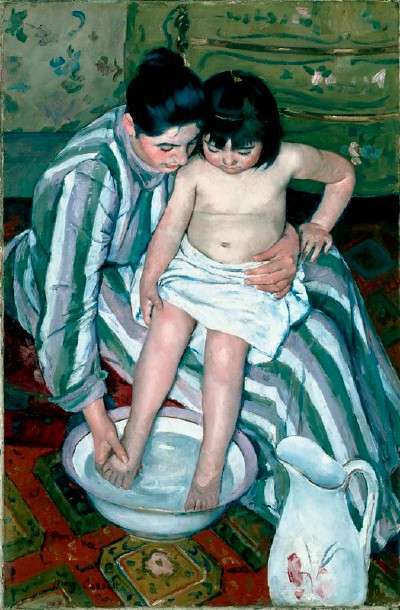 We’ve come a loooong way in making bath time a soothing time. Bathing my children might not always be relaxing because of the effort and concentration it takes to help them settle down. Children’s baths are typically at night time to help aid relaxation and encourage a good night’s sleep. After their bath time, I’m usually in need of some relaxing myself. I never feel so much myself as when I’m in a hot bath. This made me think of Marie Antoinette and how she loved her hot baths. Imagine a bath at Versailles… Marie Antoinette would bath once a day when most bathed only once every few weeks. Her perfurmer would create sachets of: sweet almonds, pine nuts, linseed, marshmallow root, and lily bulb. She soaked in a chemise to keep her body from being gawked at by her ladies in waiting. 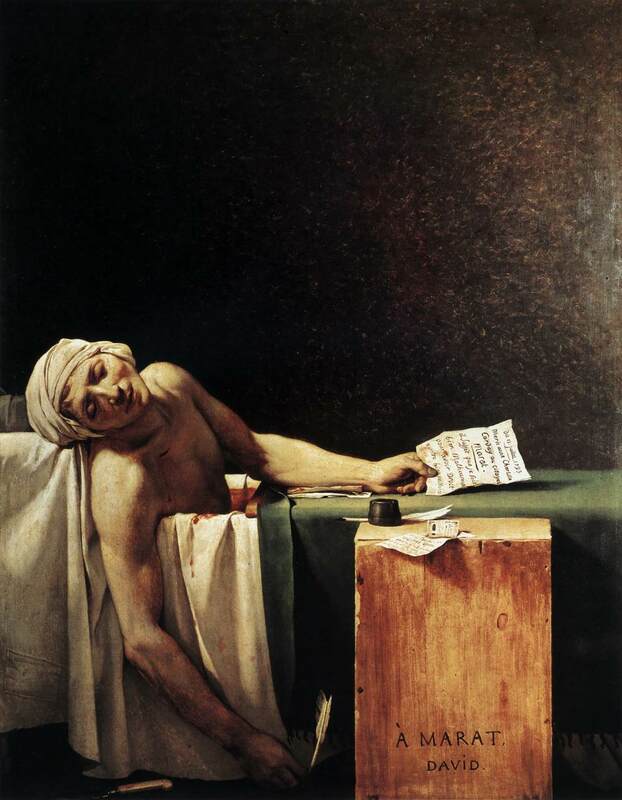 One of the most famous paintings (that happens to be in the bathtub) is The Death of Marat, a painting by Jacques-Louis David of the murdered French revolutionary leader Jean-Paul Marat. It is one of the most famous images of the Revolution. The painting shows the radical journalist lying dead in his bath on 13 July 1793 after his murder by Charlotte Corday. I love the paintings of Mary Cassatt and Edgar Degas who both showed everyday bath time as a pleasant quiet time. I long for the ease of those paintings because it always seems to be that the time we need to relax is when we don’t have time. 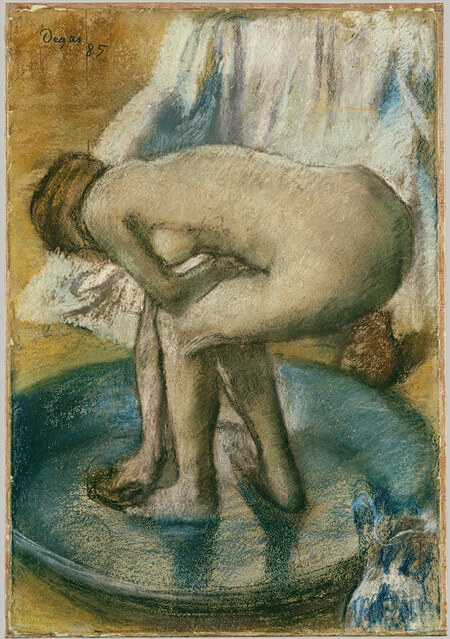 Many of us may long for the ease that appears in those paintings because it always seems to be that the time we need to relax is time that we rarely make for ourselves. My advice is, find the time, take the time or make the time…it will be worth it.